Home » WELCOME! » Older? SUBLIME BEAUTY® FEATURES ANTIAGING PRODUCTS JUST FOR YOU! We focus on what Aging Skin needs. Skin changes as we age. Collagen production diminishes, ceramides diminish, skin become dryer, less plump and buoyant. This is part of the aging process. 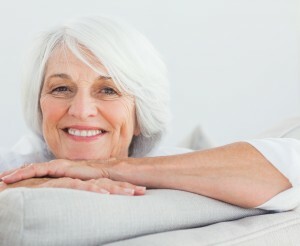 We discuss the loss of collagen on this site (read here for more information). The key points: with less collagen, you get more wrinkles, more sagging and more thinning of skin since collagen is the structure “holding your skin up”. 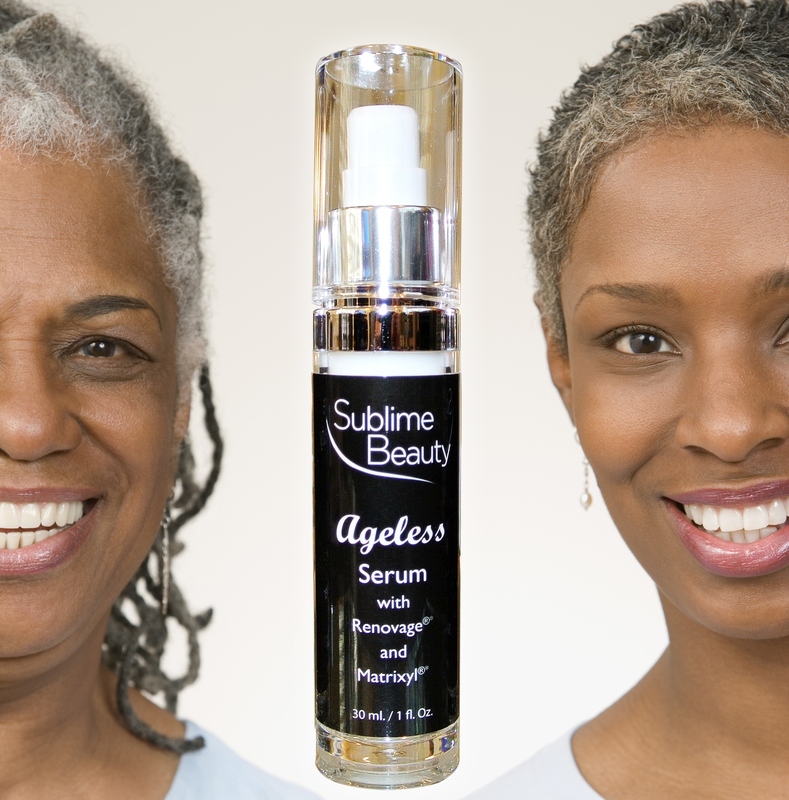 The founder of Sublime Beauty® is in her late 50s and looking at 60; she is going through the experiences you have or will go through. There are ways to keep skin healthy, nourished and also re-boost the levels of collagen and ceramide production. In addition to good diet and protection from the sun, a very powerful way to deal with this is to use INGREDIENTS that step up and replenish what is lost. MATRIXYL is a well-known peptide, first researched in wound and burn therapy for skin and now applied to anti-aging products. It definitely boosts collagen product, and an independent test showed it could DOUBLE production. The test was done by Dr. Ian Hamsley at University of Reading. ARGIRELINE is known as the natural Botox and relaxes wrinkles. RENOVAGE is a relatively new and amazing compound developed in France that encourages collagen, heals photo-aging, reduces pore size, reduces wrinkles and more! VITAMIN C is a powerful antioxidant that is skin’s friend. RETINOL is considered the gold standard by many dermatologists, and should be included in your antiaging practices. HYALURONIC SERUM and HYACARE FILLER CL both draw upon Hyaluronic acid found in our skin for plumpness and moisture. PHYTOCERAMIDES replenish ceramides in our skin for radiance, moisture, plumpness and also barrier-protection functions. It is MADE for aging skin, and is as much about health as it is cosmetic. 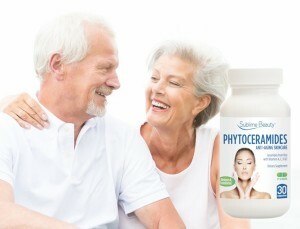 The Sublime Beauty® founder (Kathy Heshelow) wrote a short book about Phytoceramides (“Phytoceramides: Anti Aging At Its Best”) and discusses barrier-protection issues with aging skin and well-being. SALICYLIC ACID & GLYCOLIC ACID help exfoliate and brighten aging skin. 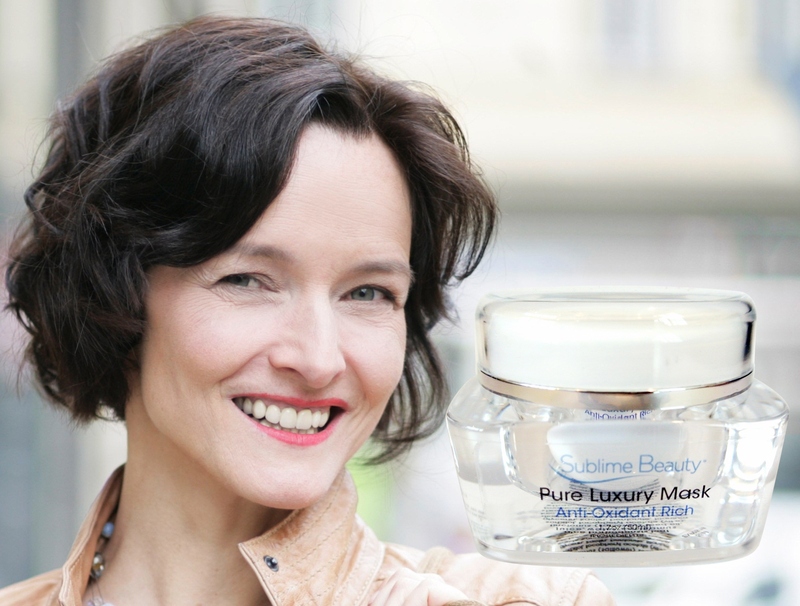 WHAT ARE SOME OF THE SUBLIME BEAUTY PRODUCTS FOR AGING SKIN? It has Argireline (the natural botox) at 10% strength to relax your wrinkles (up to 40% relaxed in a month). It isn’t the same as getting botox and it isn’t immediate, but it is more natural and no needles! The moisturizer also has Trylagen to boost collagen production. And it has botanticals to moisturize your dry skin (such as sweet almond, aloe, cucumber, carrot extract, ginseng and linden tree extract. It is a multi-tasking moisturizer that works hard for you! Use at least once daily, but twice daily is even better especially if you are contending with wrinkles. 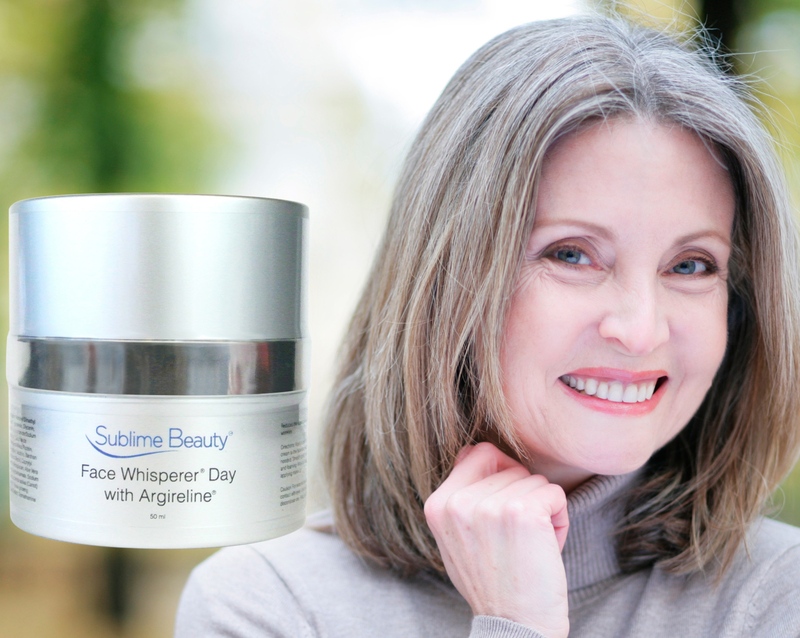 Face Whisperer® Neck & Decollete. The skin of this area is incredibly fragile and shows age quickly. This cream is soothing and thick with great ingredients to heal and hydrate such as sunflower and coconut oil, aloe, green tea, arnica and lemongrass. It also includes Argireline for those lines. Use twice daily and feel the soothing action and watch skin transform. The other two Face Whisperer® products are wonderful – the Night Cream features Matrixyl to boost collagen while you sleep for smoother, healthier skin – replacing collagen lost with age. The Face Whisperer Advanced Eye Gel is for you if you have dark circles, puffy bags and wrinkles. This is a popular serum featuring Matrixyl and aloe. It is light and airy, helps increase collagen production (ESSENTIAL for aging skin) and works well with the creams and other products. Simply apply it twice daily before applying creams. Stem Cell Serum (Cell Renewal | Fibroblast Serum). Collagen Booster par excellence! An alternative to the Collagen Peptide serum (more expensive and with stronger ingredients), this is a scientific formula that “talks directly to” the fibroblasts in our skin that make collagen. 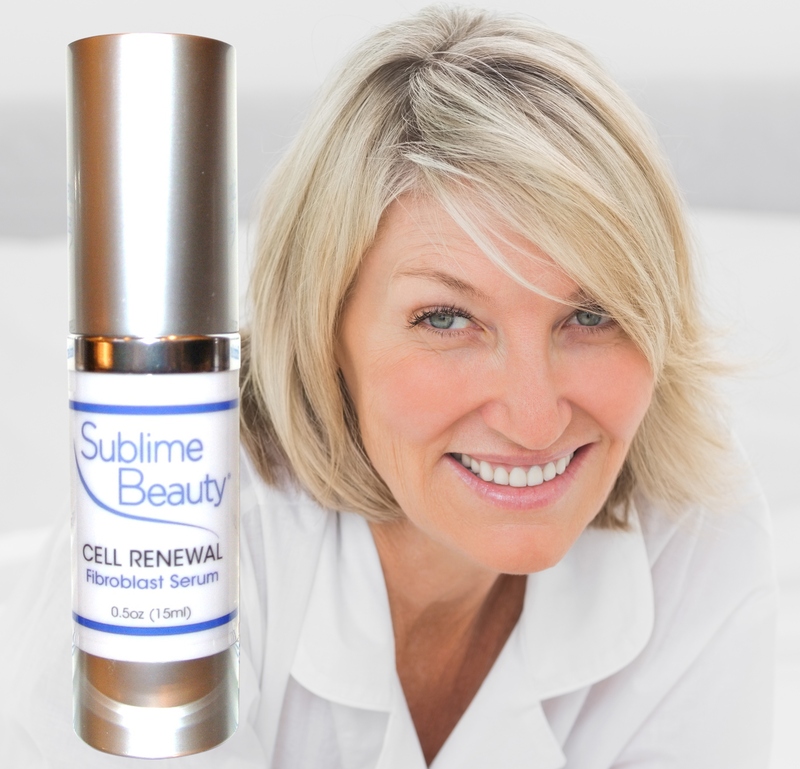 Rich growth factors are part of this non-embryonic serum that steps up collagen production well. Highly pure and made in an FDA lab. Just a little goes a long way. Apply twice daily – either under and around eyes or on the entire face. Results start to be seen in about 2 1/2 to 3 weeks. Generating collagen is an on-going process! 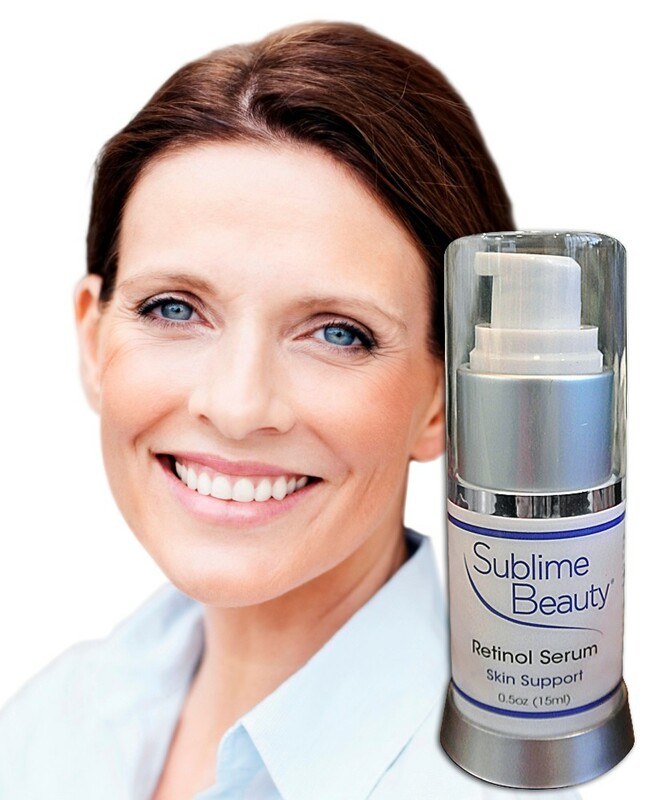 Retinol Serum with Vitamin C.
For use at night (4 times to 7 times nightly), Retinol is highly recommended by dermatologists to help improve skin in so many ways. It is a true multi-tasking serum for skin, as it encourages collagen, reduces age spots and photoaging, reduces pores, lightly exfoliates old cells and evens skin tone as well as tamp down any oil or breakouts. We offer a brochure explaining the many things that Retinol does. The added benefit of Vitamin C (at 5%) helps heal skin as you sleep! Collagen antioxidant mask is pure luxury and very helpful to older skin. It nourishes and hydrates your skin, while lightly exfoliating with French White Clay. It includes collagen, and it is stock full of hydrating and nourishing ingredients great for aging skin, like aloe, safflower, chamomille and cucumber. The mask is spa-quality and smells divine! Skin feels and looks younger after use. We recommend use once per week, though more is OK and twice monthly works as well. It depends on your skin and its needs! 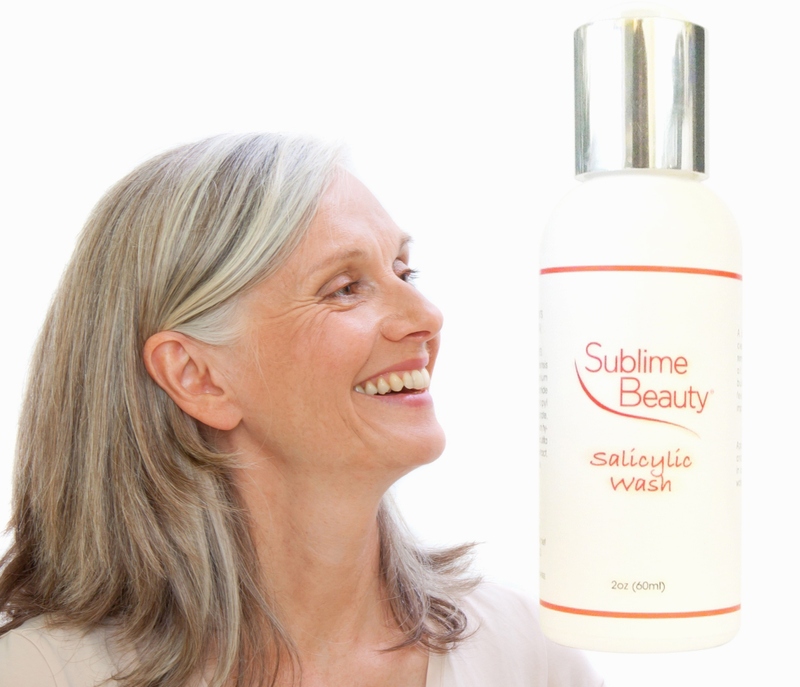 The Salicylic Wash is ideal for aging skin about 3 times per week. It brightens up dull skin as it lightly exfoliates and evens tone. It also gets skin really clean! We currently have a Glycolic and Salicylic Serum entitled Blemish Terminator Serum (it is going to be renamed later this year to Glycolic |Salicylic Serum). Glycolic is at % and Salicylic at % and it is simply a fabulous serum to brighten up skin, lightly exfoliate and reduce pores. The Ageless Line Smoother was developed in France for those who don’t want dermal filler injections. The key ingredient is the similar formula to the injection but works in a slower, more natural way with hyaluronic acid to help plump skin. In addition, the line smoother includes both Argireline (relax those wrinkles!) and Matrixyl to help increase collagen production. 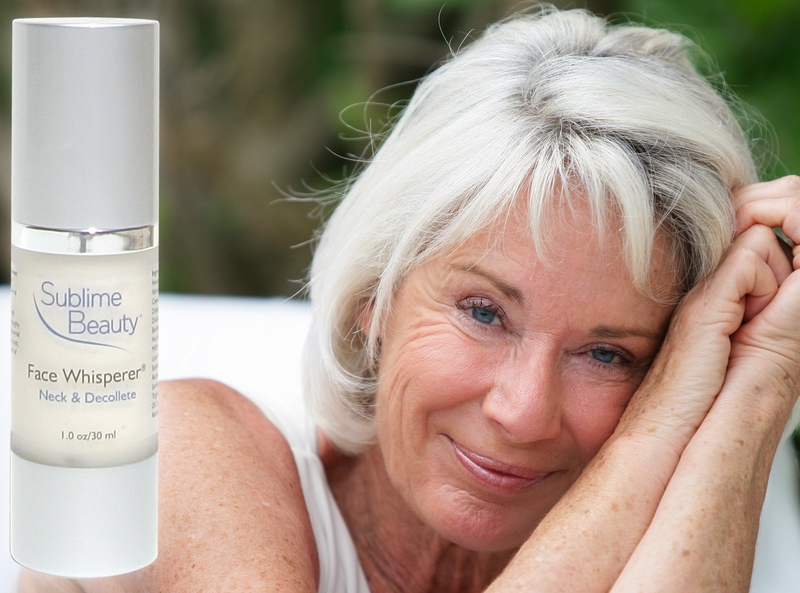 Ideal to use directly on fine lines and wrinkles as a serum (apply before your Face Whisperer Day cream), you can also use as a full face and neck serum if desired. For those less concerned with relaxing wrinkles but want to contend with the other signs of aging (age spots, sagging skin, pore size, uneven tone, etc.) 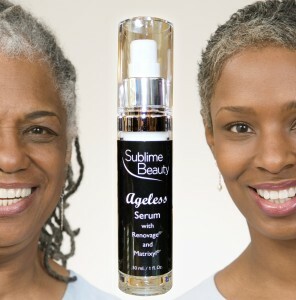 the Ageless Serum is a cream serum that can work as a Day Cream or in tandem with your Day Cream. Renovage was developed in France and is called a new “fountain of youth” since it helps lengthen cell life as well as fight off the oxidation process. Skin is smoother, softer, stronger and healthier with Renovage. Aging skin can benefit from natural Phytoceramides and improve not only the moisture-content of skin but the barrier-protection functions as well. Phytoceramides are capsules with plant-based ceramides to replenish deep in the skin layers. Ceramides make up about 60% of our younger skin but diminish with age, contributing to dryness and thinness of skin. Ceramides are involved with barrier-protection function of skin. The Sublime Beauty founder Kathy Heshelow wrote a short book about Phytoceramides, available here. A 6-Step Skincare System is recommended to enhance Phytoceramide use and improve aging skin, found on our special website devoted to Phytoceramides! Dry Skin Brushing is great for ALL ages but is especially beneficial for aging skin. We shed millions of cells daily, but as we age, we lose the ability to easily throw these dead cells off. This means skin can look dull and clog things up – skin isn’t able to function optimally, and skin is our largest body organ! Dry Skin Brushing not only helps keep the skin clear, soft and looking great it also helps boost blood circulation, move the lymphatic system and more! These are clear well-being issues. Simply 10 minutes each morning is all it takes. We have LOTS of GREAT INFORMATION, HOW-TO INSTRUCTIONS AND BOOKLETS at our special Skin Brushing website! We encourage you to look at the long-handled brush as it makes reaching everywhere easy! Kathy Heshelow has written a number of published articles about Skin Brushing, appearing in such publications as USA Today | MediaPlanet, Urbanette Magazine and MidWest Health. The portable brush was featured in Glamour Magazine! ALL PRODUCTS AVAILABLE AT SUBLIME BEAUTY SHOP (OUR WEBSTORE) OR ON AMAZON! Stay Tuned for our New Magazine: “Sublime Aging”, debuting in 2015!